- have absolutely nothing to do with salvation and little if anything to do with one’s “walk” with God. If anything, I have found that church activity and “busy-ness” have detracted from and robbed time from my relationship with God, my family, my neighbors and those around me. - do not truly keep one accountable. Accountability is impossible to be maintained in a top-down structure. Leadership can only track attendance within a body of any size, and does not have the depth of personal relationship with each member to maintain any real accountability. True accountability exists in life-on-life relationships, where we can be open and transparent, and develop “keeping” relationships. Through openness, guidance, and speaking and receiving the truth in love, we are “kept” by these relationships. Please read the entire thread at Anne's site and Goteeman's complete response. I agree with John that it would be a worthy edition to the Formerly Known As meme. In his summer update at his site, Brian links to the meme that just won't die - The People Formerly Known as the Congregation. It's driving a fair bit of traffic to this humble blog. 'Tis much appreciated. ...I've met intriguing and amazing people and seen the grace of God made visible in and through their lives ... many pastors and denominational leaders, many committed followers of Christ who are living out their faith in their jobs, schools, slums, governments, neighborhoods, and families. I'm also moved by the honest people with deep questions whom I meet in nearly every city - often experiencing a lot of pain and disillusionment and alienation from the church (If you want to get a feel for what they're going through, check out this link). It's inspiring to meet all these people, and a true honor to seek to be of encouragement to them. My blogging buddy, John Santic, has added to the tome that is "The People formerly know as," with Passive. We will no longer allow our society to socialize us into its status-quo Royal Numbness. Everything is not OK. We are realizing how much our culture has imposed its a-musement onto our faith. This has shaped us into passive Christians who ignore suffering while pawning it off as someone else's problem. We are seeing this for the first time and it is breaking our hearts. We are tired of being passive. Please read his entire post and comment there. Erin has just published The People formerly Known as The Wounded. Please read it. 'Tis a story of healing. Heidi Daniels writes The girl formerly known as as a "normal Christian". Part Six in this ongoing story. I'm a girl who deeply desires God. I believe I'm his image-bearer, though I'm still learning what that means. There are many like me, many who for years fit inside status quo Christianity. Many who, like me, find that the old boxes no longer contain the expansive life that Christ has filled us with. 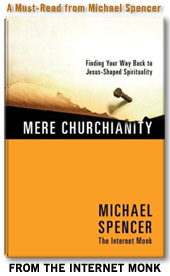 Many who have quietly and sometimes not-so-quietly found new ways to live out our lives as Christ followers.